Happy birthday. Having a party? 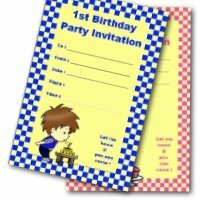 Why not check out my free printable kids birthday invitations on this page? 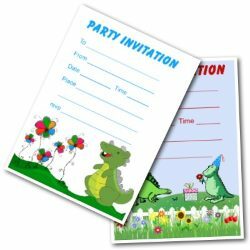 These unique printable kids party invitations make really special party invitations for kids. With one for girls, and one for boys - they would be wonderful for little kids parties. 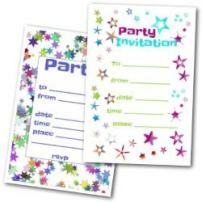 These invites probably don't need any more color - but you could use pastel colored sheets of paper if you want to. Pretty and feminine. 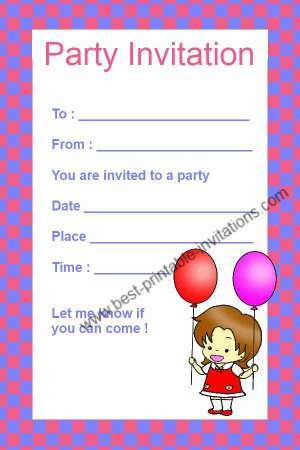 This invite features a girl with balloons surrounded by a pink border. Bright and fun. Featuring a boy with a birthday cake, surrounded by a bright blue and red border. 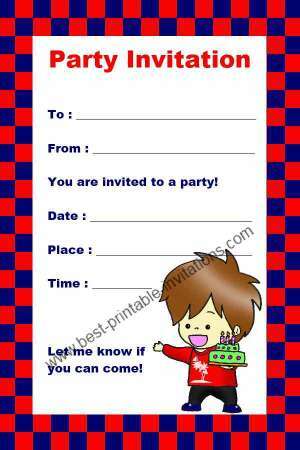 Printable Boy Birthday Party Invitations. 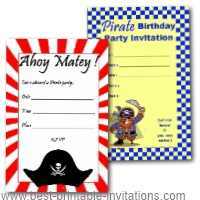 These great kids birthday invitations print two per page - to save you printing time. Just cut apart and they are ready to fill in. 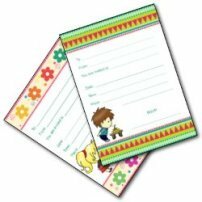 Make a guest list before you start - especially if it is to be quite a big party. A child would be very disappointed if you forgot it - so check and double check that you have not missed anyone. 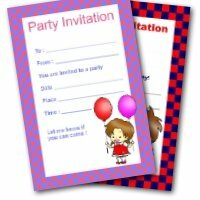 The invites should really go out about 2-3 weeks before your party. 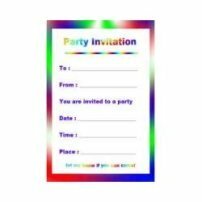 If your child is going to hand out the invites at school, then you may want to tell them to hand them over to the teacher to do it - you don't want any to be lost. It is best with small kids parties to put an end time as well as a start time. Then parents will know when they need to pick up their child. 2-3 hours is plenty of time for this. Before the big day, plan out some party games that you can have the children play. There is a good selection here to give you some ideas. 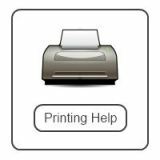 It is better to have more games than you think you will need - you may not use them all but at least you will be able to fill the time if need be. Pick a mix of games - some noisy and some quiet! And don't forget traditional games like musical chairs! If things are getting a little rowdy, then a quick storytime will settle everyone down again. Or try a simple craft activity. 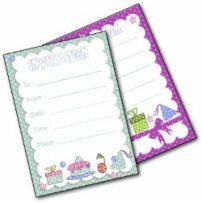 By following these pointers, I am sure your birthday party will go smoothly! And I hope everyone has a great time.